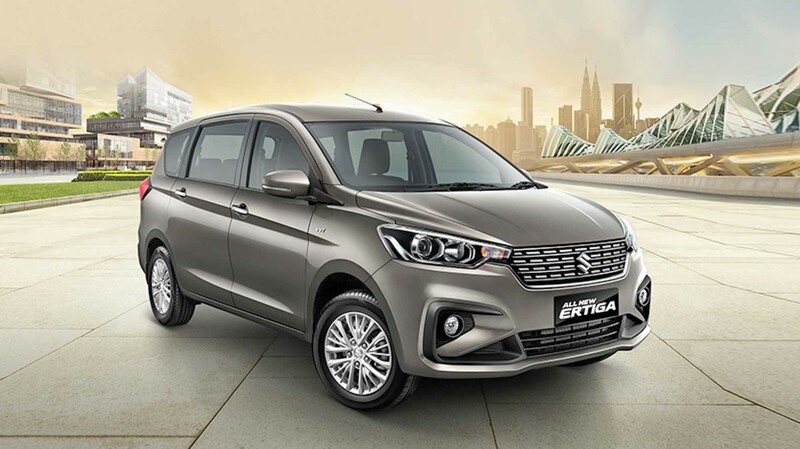 Maruti Ertiga 2018 is all set to reach Indian shores during the month of July this year. It is likely to come with a new engine. In addition to this, the 2018 Ertiga gets a completely new exterior and interior design. It will also have significant upgrade in its equipment list as well. For 2018 the complete avatar of the 7 seater is changed, the 2018 Maruti Ertiga is a completely new car, no body panels have been borrowed from the existing MPV. The new Ertiga gets projector headlamps, LED DRLs ,LED taillamps and 16-inch alloy wheels. Increased dimensions of the 2018 Maruti Ertiga are likely to translate into better interior space for second and third row occupants .The car also gets new-look tail-lamps and a new D-pillar. The wheelbase remains unchanged at 2,740mm. The car is now longer, wider and slightly taller than the outgoing model. Despite its larger size, the boot space in the new Ertiga has been reduced to 153 litres with all three rows up – 32 litres lesser than the current Ertiga’s 185-litre capacity. 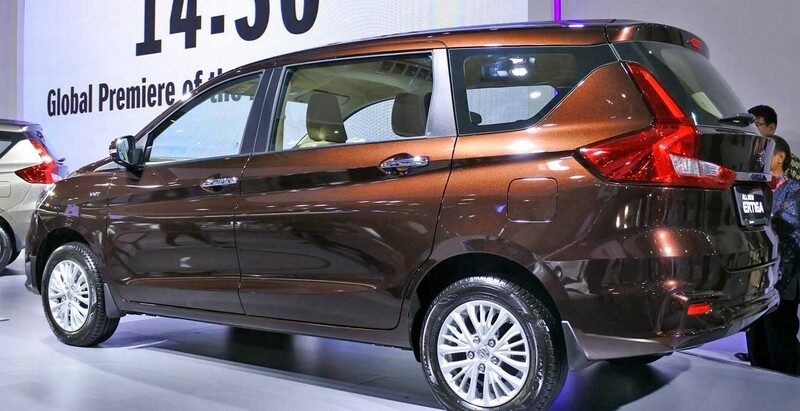 The all-new Ertiga is based on the new Heartect platform, which is shared with the Swift, Dzire, Ignis and Baleno. Suzuki’s new lightweight HEARTECT platform improve safety standards and fuel economy. 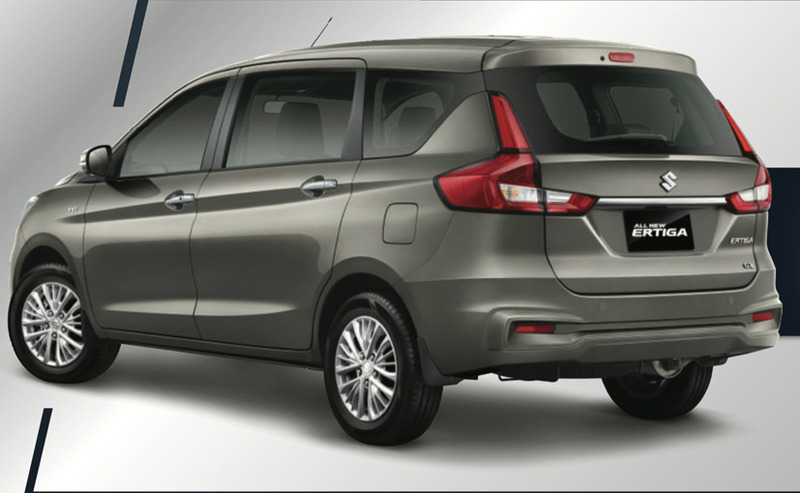 The new Ertiga features a more spacious cabin for passengers (especially in the third row) . 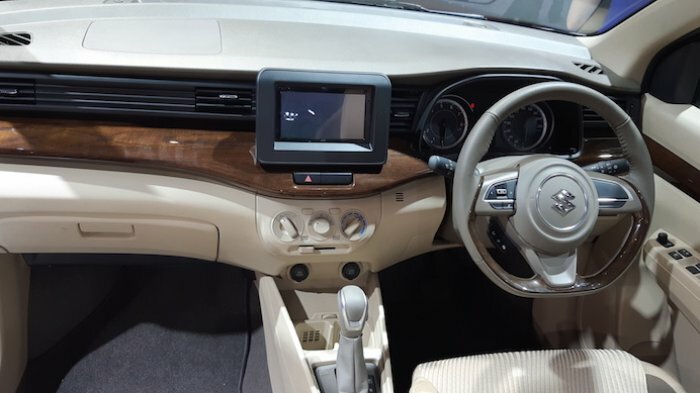 The dual-tone dashboard and other bits on the inside of the MPV are shared with its other Maruti Suzuki models for example The instrument panel and flat-bottomed steering which is borrowed from the Swift hatchback. Vertically aligned aircon vents, a new 6.8-inch touchscreen infotainment system and cooled cupholders comes in the dashboard. 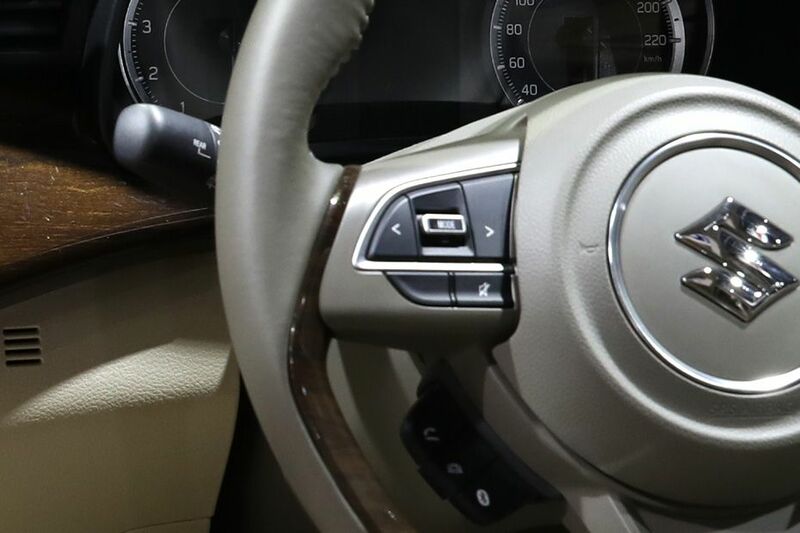 The India-spec mode will get an automatic climate control system . The 2018 Maruti Ertiga Diesel will get a new in-house developed 1.5-litre unit mated with a 6-speed manual gearbox.from Maruti Suzuki. Ditching the current model’s Fiat sourced 1.3-litre unit. Maruti Suzuki has been sourcing the diesel engines for all its model line-up from Fiat. Now, Bharat VI stage emission norms coming into effect from the year 2020. Maruti has to look for new engine options. This is because Fiat is not planning to upgrade the existing 1.3-litre motor for BS VI emission standards. The petrol unit is powered by a new K15B petrol engine. This new 1.5-litre engine makes 104hp and 138Nm of torque and will replace the current MPV’s 1.4-litre engine . The second-gen Ertiga is expected to be priced in the range of Rs 6.5 lakh – 11 lakh. The new Ertiga will go up against the Renault Lodgy and the Honda BR-V.